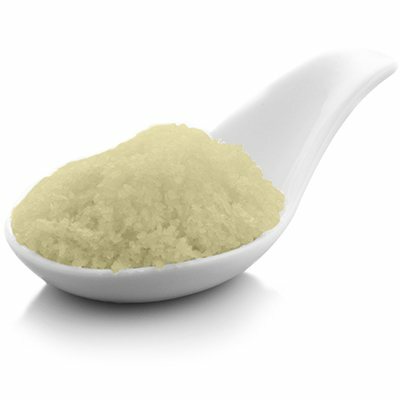 An excellent bath salt choice to help remove impurities, detoxify the skin and enhance your skin's natural balance. Made with a blend of fine and medium grain Pacific Sea Salt with added all-natural essential oils of Lavender and Rosemary - plus kelp powder and green tea powder for additional detoxifying benefits and Vitamin E and Aloe Vera! 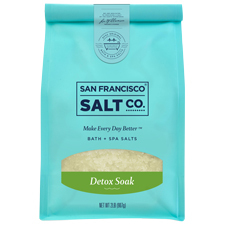 Feel the healing power of minerals and nutrients from the sea as they help to cleanse your skin leaving it feel refreshed and more youthful with this detox bath salt. A blend of fine and medium grain Pacific Sea Salt with added all-natural essential oils of Lavender and Rosemary, Kelp Powder, Green Tea Powder, Vitamin E, and Aloe Vera in a natural light khaki color. Color: Natural light khaki (actual color may differ from color shown on your screen).